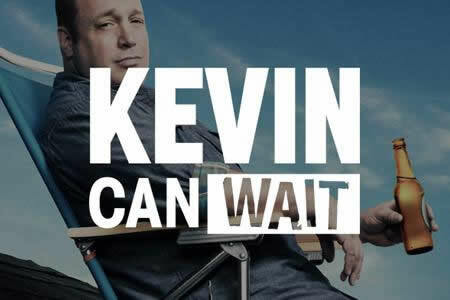 Kevin can wait is an american comedy series, staring Kevin James (known as Doug from King of queens) The two series has a lot in common, maybe thats just due with Kevin. We fallow Kevin in his now bit more boring life after quiting the police force. Hes married with 3 children, and his oldest daughter is engaged to a geeky boy none likes. Wait did I say boring? Nothing can be boring around Kevin. As in King of Queens, most of his time is spent with his friends. They make a lovely couple I would love my relationship to be like their marriage. They make a lovely couple :) I would love my relationship to be like their marriage.